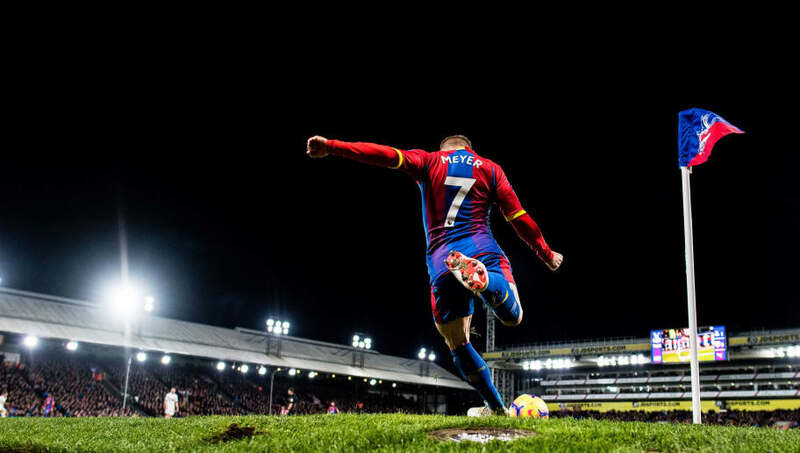 ​Crystal Palace welcome Leicester City to Selhurst Park on Saturday as they aim to bounce back from their local derby defeat to West Ham last weekend. The Eagles have struggled at Selhurst Park this season, winning just once so far. With goals seemingly sparse at the moment, Palace need to start delivering results to get away from the relegation zone, as they currently sit two points above it, in 16th place. Leicester have blown hot and cold recently, and have just one win in five, but the visitors will be boosted by several players soon to return from injury. The Foxes sit in ninth position, but will be hoping for points before tricky fixtures against Chelsea and Manchester City in the upcoming weeks. ​Crystal Palace will be without two key players in ​Wilfried Zaha and James Tomkins, as both picked up their fifth yellow card of the season in the 3-2 loss to ​West Ham and are suspended. Christian Benteke is still recovering from a long term injury and will miss out. Full back Patrick van Aanholt is a doubt after he came off with a shoulder injury in Palace's most recent game. ​Leicester may welcome back their star man Jamie Vardy, who is close to a return from injury, but it is unlikely he will play the full 90 minutes. The Foxes may be able to call upon fellow Englishman ​Harry Maguire who is also returning to fitness. The central defender has missed the last five Premier League games after suffering a knee injury against ​Cardiff. The Foxes will also be without long term absentees Matty James, and Daniel Amartey. ​Crystal Palace ​Hennessey, Wan-Bissaka, Sakho, Kelly, Schlupp, Milivojevic, McArthur, Kouyate, Townsend, Meyer, Ayew. ​Leicester City ​Schmeichel, Chilwell, Morgan, Maguire, Pereira, Ndidi, Mendy, Gray, Maddison, Albrighton, Iheanacho. The two sides are very evenly matched over the years with the Foxes winning 26 games, to the Eagles 25 wins. The two sides have drawn 18 times. However, the London side won 8-0 on aggregate last season as the Eagles did the double over Leicester with a 5-0 win at home, and a convincing 3-0 win at the King Power Stadium. James McArthur and Patrick van Aanholt are the only goal scorers from last season that are likely to feature. In their last ten outings, Palace have won five, Leicester have won three, with two results being shared. There has not been a scoreless draw between the two sides since an FA Cup tie in 2009. Leicester City sit ninth this season after a series of poor results, with draws against, ​Burnley, ​Brighton and ​Fulham. However, the Foxes do sit just four points behind sixth placed ​Manchester United. Leicester have struggled to score of late without their main goal threat, ​Jamie Vardy. The Foxes have just four goals in their last five games. However, they are not the only side struggling for goals in recent weeks. Crystal Palace have scored just 13 all season, the joint second lowest in the league, despite having scored five in their last three games. The Foxes will struggle for goals even more considering they are without both Zaha and ​Benteke this weekend. Crystal Palace's home form this season has been exceptionally poor; their win over Burnley was their only win at home all season, having drawn two and lost four. Both sides have struggled in recent weeks with just one win in the past five, but the Eagles will be severely weakened by suspensions to Zaha and Tomkins. With the fit again Maguire, and Vardy potentially featuring too, Leicester will likely have too much strength for a weakened Palace side who have struggled scoring.